Whether it’s planting shade trees at bus stops, making recycling fun and colorful for kids or getting folks to use less plastic, Miamians are creating easy ways for residents to reduce their carbon footprint every day. Here are five Public Space Challenge winners who’ve used their grants to launch and grow their eco-friendly ideas. VolunteerCleanup.org executive director Dara Schoenwald was seeking a simple solution to handle the plastic waste she kept finding on the shoreline. She used her Public Space Challenge grant to put a water bottle refill station at Margaret Pace Park near downtown Miami. The fountain is outfitted with signs about bottle pollution and is handicap accessible. The idea has since morphed into a bigger project: a partnership with Woosh Water to install 25 stations in Miami Beach. Many Miami bus stops don’t provide adequate shade, and the hot sun can take its toll on transit riders. Enter Neat Streets Miami, whose idea to enhance bus stops is providing riders with a more comfortable and inviting environment. Through the Challenge, they’re planting canopy trees at unsheltered waiting areas. And, in partnership with O, Miami, they’re stenciling in haikus about trees on adjacent sidewalks, adding a poetic touch to the practical shade trees. Eighth-grader Noah LaFleur wanted to encourage more people to recycle. Noah thought the way to get adults involved was through their kids. He applied for funding for his idea to make recycling bins that look like kid-friendly animals. Last October, the Town of Cutler Bay received six new dolphin-shaped recycling bins thanks to Noah’s $5,000 2016 Public Space Challenge grant. The West End Bus Terminal serves numerous bus routes that connect to multiple destinations across Miami-Dade, including various schools, parks, colleges, hospitals and malls. To make it easier for bike commuters, the nonprofit Green Mobility Network installed a bike pump and repair station and covered bike parking. 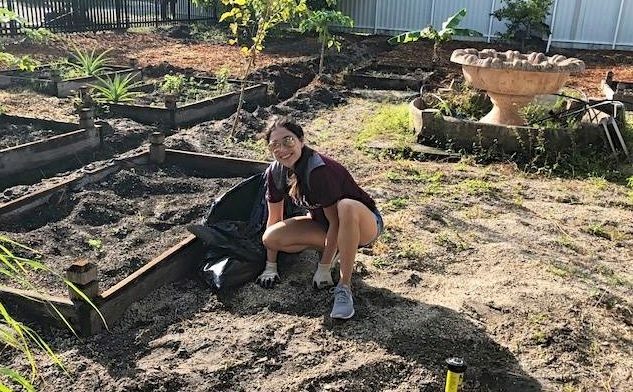 Miami Youth Garden, Inc. is a nonprofit organization featuring a live, community garden classroom and a youth leadership development program called Seed to Harvest. Church of the Open Door’s Youth Ministry created the garden, and used their 2014 Challenge grant to expand the program and teach community leadership skills to local students. These simple actions can help you do your part on Earth Day, April 22nd, and every day. Even just attempting one of these ideas can make a difference. Alexandra Bassil is a freelance writer and parks enthusiast. Editor’s note: The 2019 Public Space Challenge is now open. Submit your ideas by May 16th at PublicSpaceChallenge.org. This year, we’re looking for ideas that create, activate or improve the way we move around Miami-Dade.